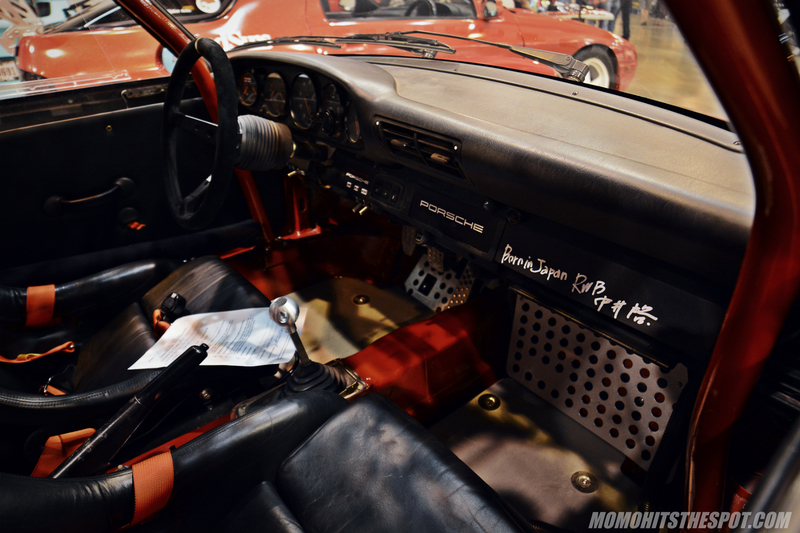 Wekfest Texas 2017 [MoMo’s Top Picks Part 1] – MoMoHitsTheSpot! Wekfest Texas wasn’t an event that I had plan to attend, but a few things ended up in favor of me attending so here I am writing about my first experience at a Wekfest event outside California. The first thing that persuaded me to head out to Houston was my schedule which opened up for the weekend, secondly, flights were pretty cheap for such a last minute decision, and last but most importantly, the Glow Up Meet. It was a win win situation for me and I get to see Houston for the first time in my life. So, now that I’ve explained a bit on my reasoning for attending Wekfest Texas, lets discuss a little bit about the show. 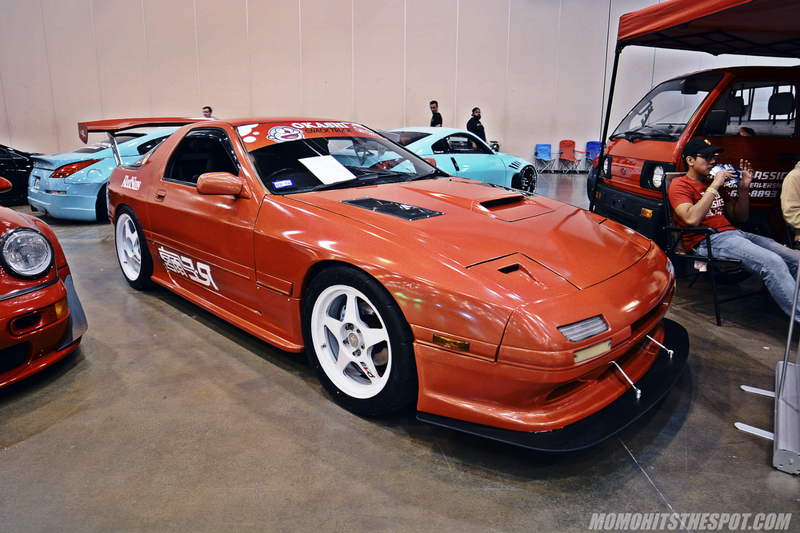 First off, it was pretty much your standard Wekfest fare, which means the typical convention center setting but for this particular venue the lighting was not the best, (think incandescent), that threw the white balance off quite a bit. However, there was a really positive aspect about the Houston show as compared to the San Jose shows, at least for photographers sake, was the minimal crowds through out the event. I was actually quite surprised that I didn’t have to fight the crowds to get decent photos even though I got in before the general public because there really wasn’t a crowd to begin with. As far as the cars were concerned, I guess I had a little higher expectation but there were definitely some notable cars in attendance as you can see from my top picks from the show. Most of these cars were affiliated with one another such as the Shinku Classic guys, the Team 5 Star Hondas, and the FinalForm USA FDs, as for this post I’m gonna start with the Shinku Classic cars and the Hondas. 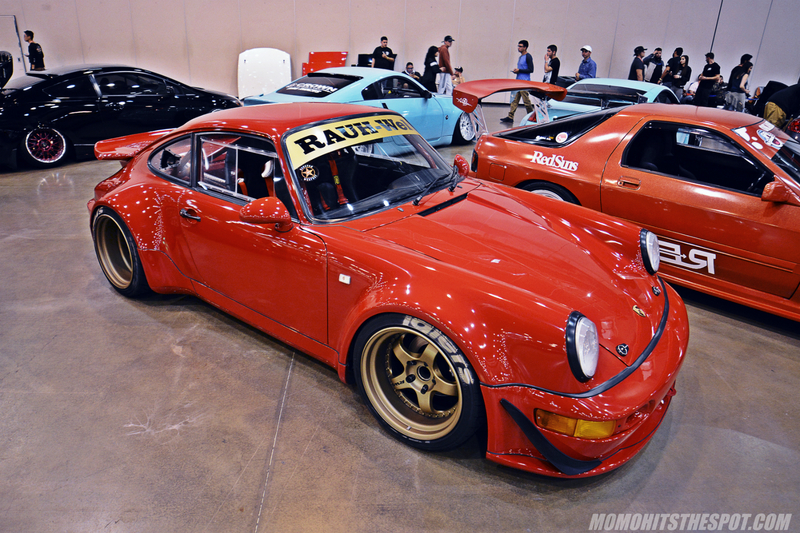 The Shinku Classic guys had some really nice cars out at their booth like this RWB Porsche. 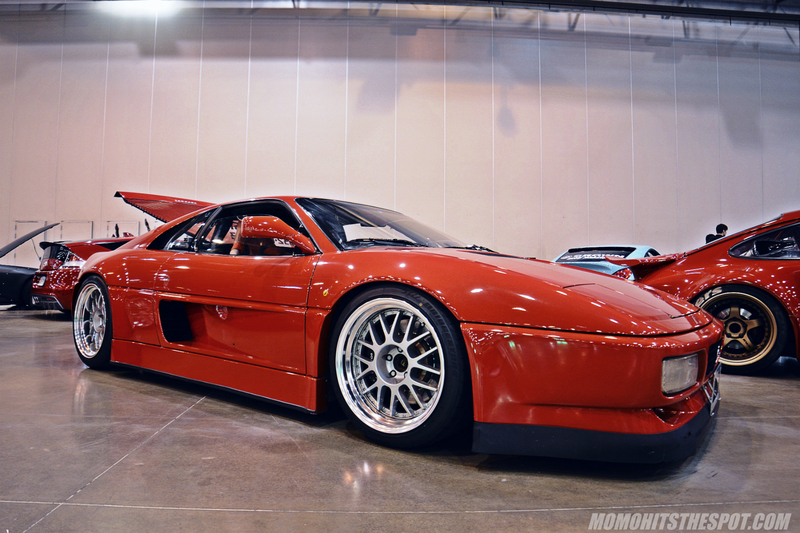 Another RWB vehicle in the form of a rarer Ferrari 348. I absolute love the lines and modifications of this kit that keeps the car very subtle while updating its aesthetics to a more modern look. 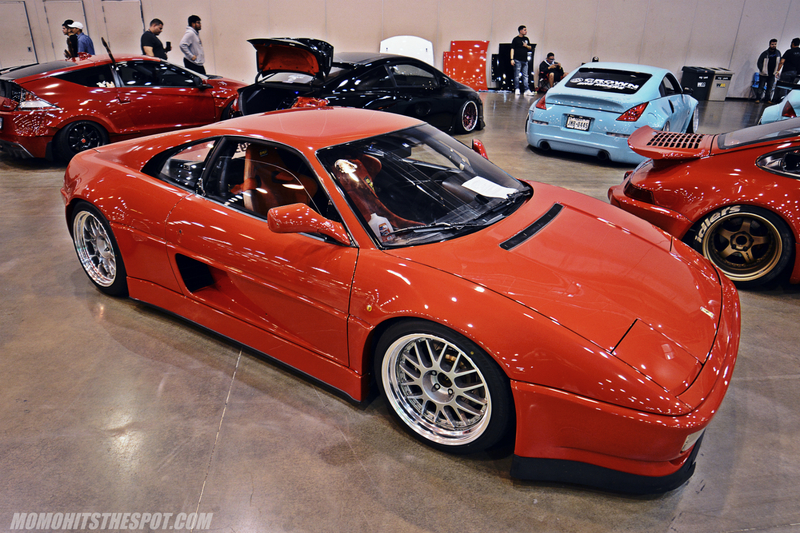 A Mazda FC with a bit of Initial D flavor and a NSX to round out the red theme at the Shinku Classic booth. It was hard to miss this lineup. 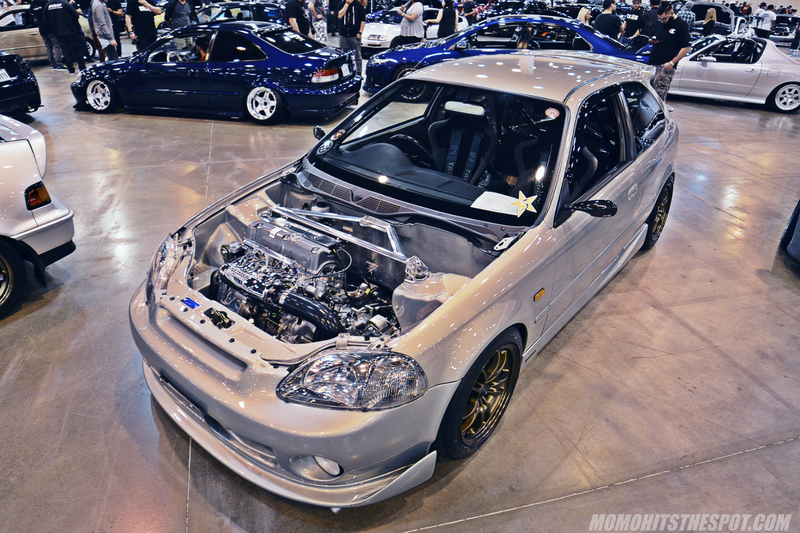 Here is Tom’s S2000 to start off the lineup of Hondas that represented Team 5 Star. This S2000 is one of only a few that I know Stateside running an authentic Mooncraft hardtop and does a great job pulling it off. I also had a chance to chat with Tom at the Glow Up Meet, who’s a super chill dude and actually plans to track his S2K. 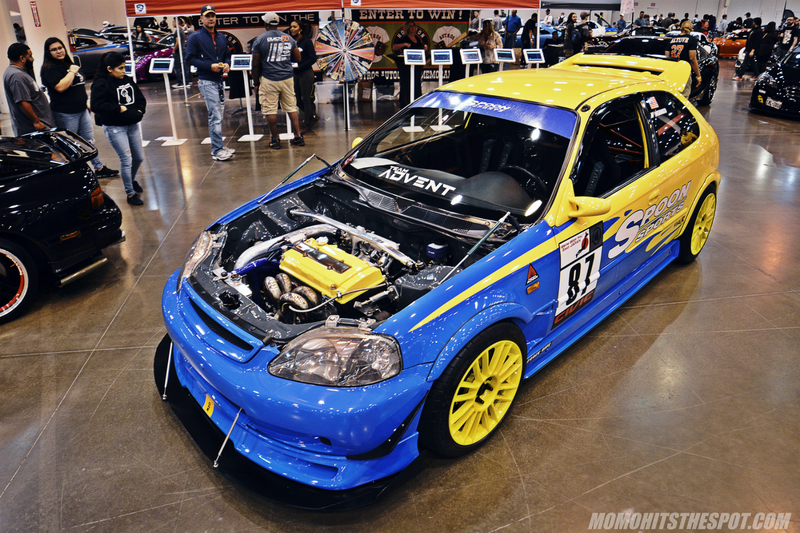 Ings +1 and Mugen is quite a combination on this DC5. 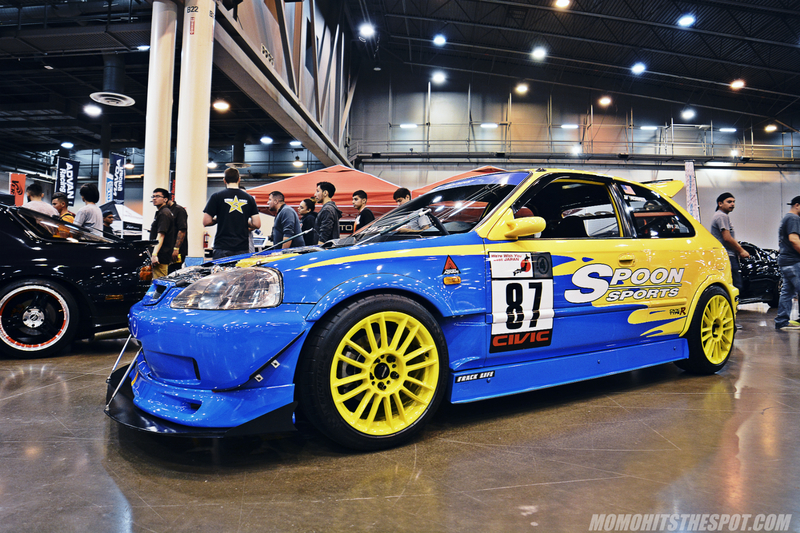 The RHD aspect of this Mugen EK puts it above the rest of the Hondas from Team 5 Star because it was hard to choose the best from such a great lineup. 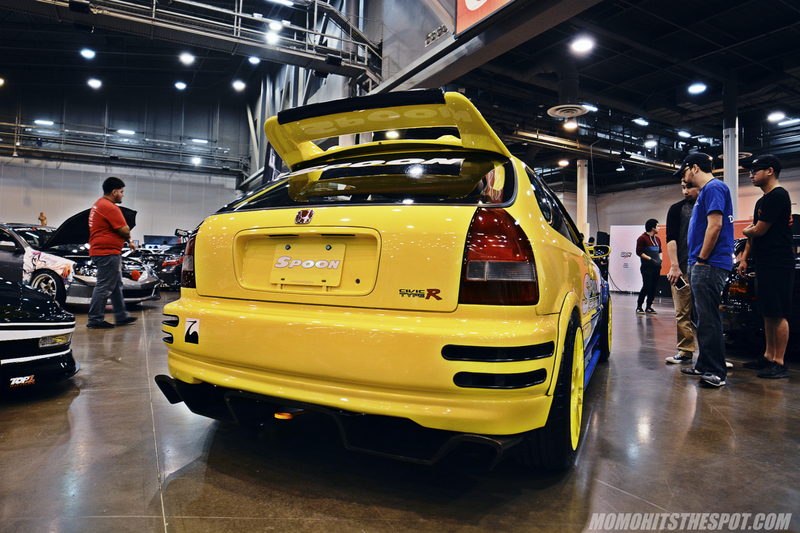 CRX on Volk TE37… that’s quite a rare but wonderful sight. 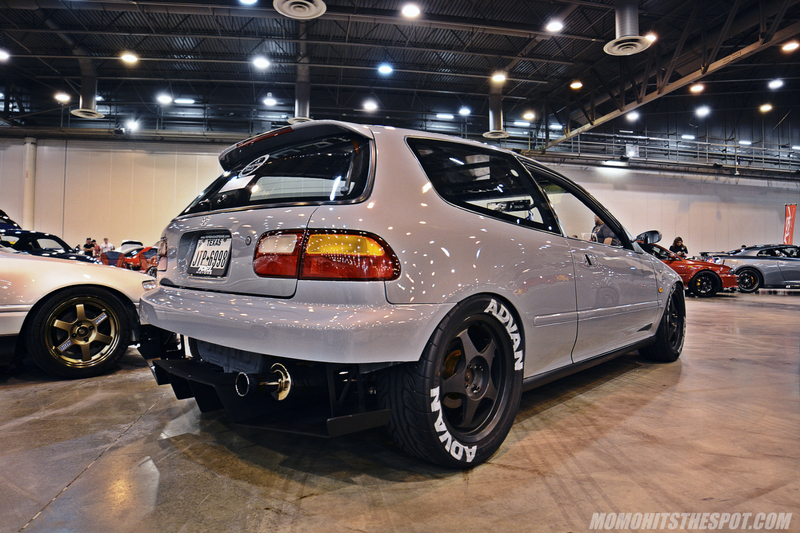 Unfortunately I forgot to get a shot of the front of this track-inspired EG but it was running a rare Fujimura Auto ROCKET DANCER lip that looked sensational on the car. A pair of gorgeous Del Sols showing for Team 5 Star. Yup, you guessed it, another Mugen TSX. This time with TE37SLs and a CT Engineering supercharger. 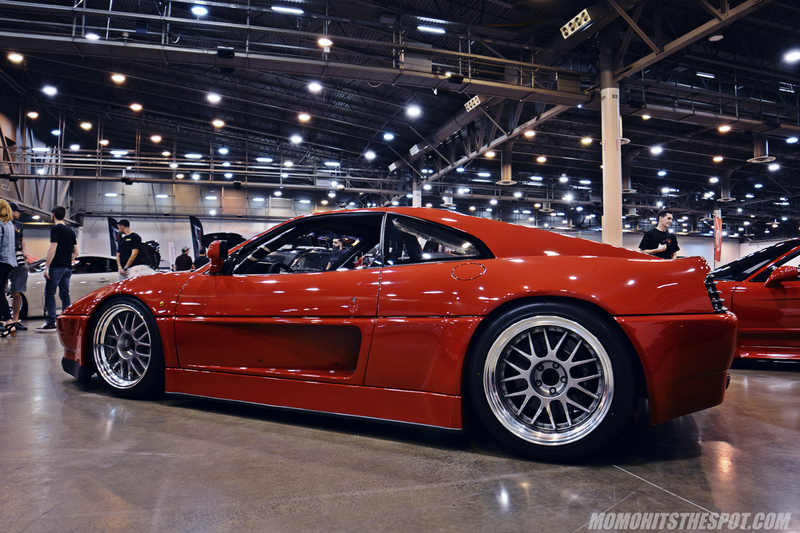 I actually like the colorway of the Advan RGs on this NA2 NSX. 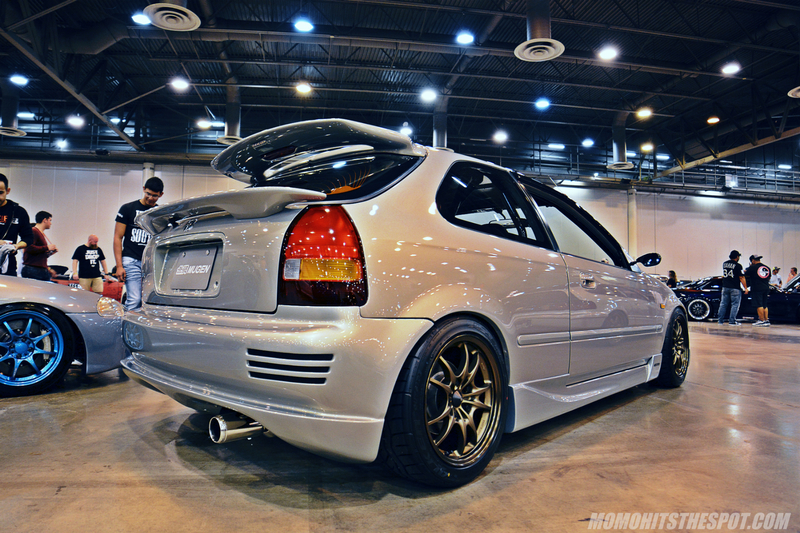 This was a pretty clean EF on gloss black TE37s. 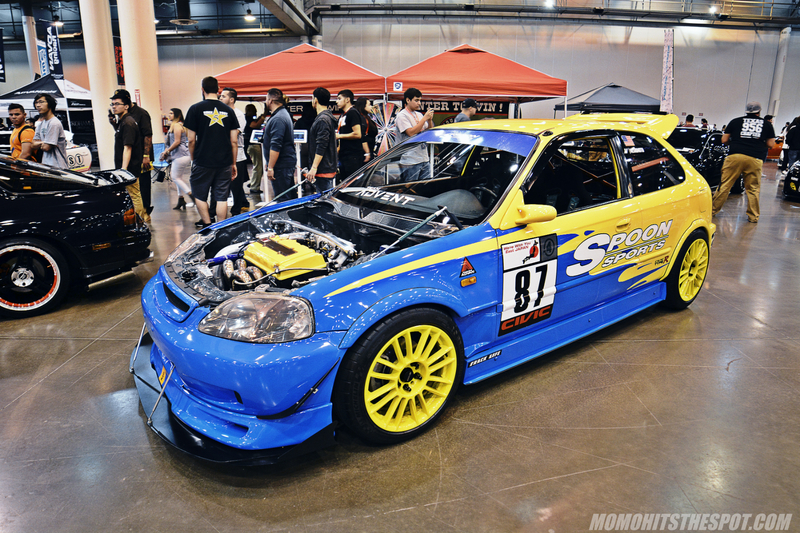 And finally, a pretty well executed Spoon-themed EK that’s also turbocharged. I think the underrated CR93s were a great choice for this particular setup compared to let’s say the ever-so-popular SW388s. 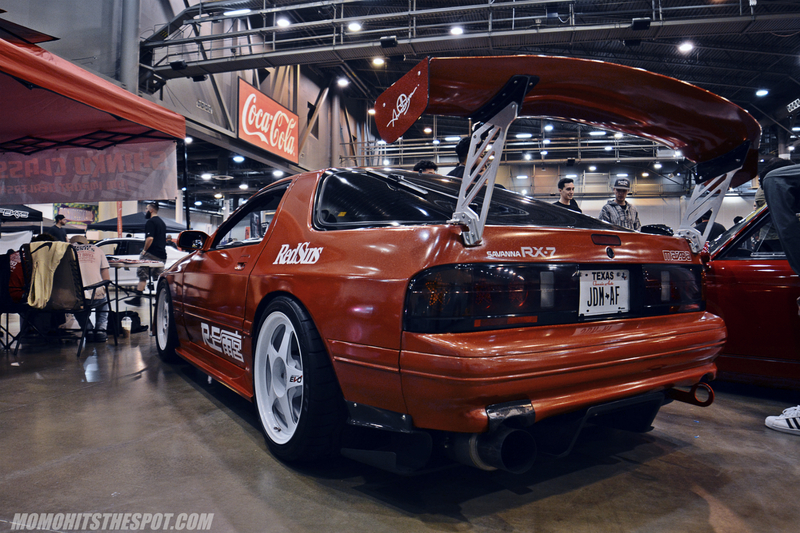 So this about rounds out the first part of my picks of the best at Wekfest Texas. Keep in mind these posts are not “event coverages” so there’s a lot of cars that’s not represented in these posts. It doesn’t mean that they’re not noteworthy but some parts and execution of the cars do not align with the values of this site, which is why they’re left out. In any case, there’s still a “part 2” so be on the lookout for that!